Back in December 2006 we presented a light-hearted case study about one, Dennis Messner, a beaver setting about designing and constructing the ideal dam. See Planning and Construction: Another Dam Case Study. Now it appears that this designer overlooked one very important stakeholder - The Regulatory Authority! The scene moves south of the Canada-USA border to the State of Michigan where a Mr. Ryan DeVries owns a pond on his property. Mr. DeVries received the following letter from his state department - and, yes, according to Snopes.com this is all true. The state of Michigan did threaten local beavers with a $10,000 per day fine for failing to remove their dam! The Department has been informed that one or both of the dams partially failed during a recent rain event, causing debris and flooding at downstream locations. We find that dams of this nature are inherently hazardous and cannot be permitted. The Department therefore orders you to cease and desist all activities at this location, and to restore the stream to a free-flow condition by removing all wood and brush forming the dams from the stream channel. All restoration work shall be completed no later than January 31, 1998. Your certified letter dated 11/17/97 has been handed to me. I am the legal landowner but not the Contractor at 2088 Dagget Lane, Trout Run, Pennsylvania. Do you require all beavers throughout this State to conform to said dam request? I have several dam concerns. 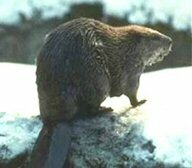 My first dam concern is, aren't the beavers entitled to legal representation? The Spring Pond Beavers are financially destitute and are unable to pay for said representation - so the State will have to provide them with a dam lawyer. If you want the dammed stream 'restored' to a dam free-flow condition please contact the beavers - but if you are going to arrest them, they obviously did not pay any attention to your dam letter, they being unable to read English. So, as far as the beavers and I are concerned, this dam case can be referred for more elevated enforcement action right now. Why wait until 1/31/1998? 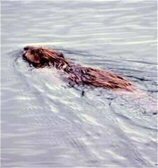 The Spring Pond Beavers may be under the dam ice by then and there will be no way for you or your dam staff to contact/harass them. In conclusion, I would like to bring your attention to a real environmental quality, health, problem in the area. It is the bears! Bears are actually defecating in our woods. I definitely believe you should be persecuting the defecating bears and leave the beavers alone. If you are going to investigate the beaver dam, watch your dam step! The bears are not careful where they dump! 1. www.snopes.com/humor/letters/dammed.asp While the Water Management Division's letter is apparently true, there are several variations of Ryan DeVries's response on the Internet - including this one!